(VOVWORLD) - Relations between the US and Turkey have become strained due to Turkey’s refusal to release American pastor Andrew Brunson who is accused of terrorism and spying. The US has responded by imposing sanctions on Turkey. American pastor Andrew Brunson worked in Turkey for more than 20 years. He was detained in October 2016 and tried a year and a half later. The charges against Brunson include supporting the outlawed Kurdistan Workers' Party and the Gulen Movement, which Turkey says orchestrated the coup attempt. Turkey released Brunson to house arrest last Wednesday and ordered him to wear an electronic monitoring device. The US has repeatedly asked Turkey to free the pastor. 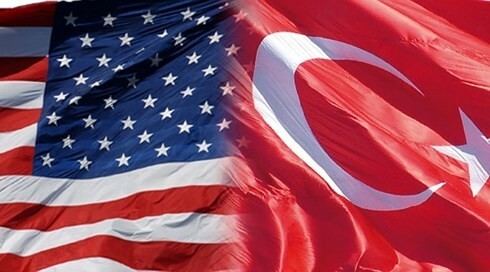 The US administration on Wednesday levied sanctions against two top Turkish government officials: Justice Minister Abdulhamit Gul and Interior Minister Suleyman Soylu, taking relations between the NATO allies to a new low. US President Donald Trump warned of more serious sanctions on Turkey if Brunson is not released. Turkish President Tayyip Erdogan said the US’s threatening language will not benefit anyone and that Turkey will not make any concession undermining the court’s independence. The Trump administration’s strong response to the arrest of pastor Brunson is said to be for the sake of Evangelical Protestants who are major supporters of the President. But this case is just on the surface of the cracked US-Turkey relationship. Turkey is upset with the US’s support for the YPG Kurds in Syria because Turkey is trying to prevent this group from setting up an autonomous region on Syria’s border with Turkey. Tensions rose after Turkey launched a cross-border military campaign to push pack the YPG force in northwestern Syria. Turkey plans to expand its operation eastward to Manbij, the stronghold held by the YPG and a US special task force. Washington’s refusal to extradite cleric Fethullah Gullen, who is living in exile in Pennsylvania, is also a sore spot with Turkey. Turkish Foreign Minister Mevlut Cavusogly is expected to discuss the issue with US Secretary of State Mike Pompeo on the sideline of the ASEAN Foreign Ministers’ Meeting in Singapore.